The next time you are craving Tex-Mex, try this Homemade Taco Bowl method for serving your favorite taco salad! They are easy to make, something you can’t easily find in stores, and always a crowd pleaser. Kids love the mini-version as well! Instead of disposable, paper dishes, someone should just start making and packaging various dishes from tortillas. Shape them into cups, bowls, plates… whatever. If you can eat off of it, I want to be able to buy it as a crunchy tortilla in any size and shape. Unfortunately, my tortilla utopia doesn’t exist yet so I’m stuck making my own tortilla gear. 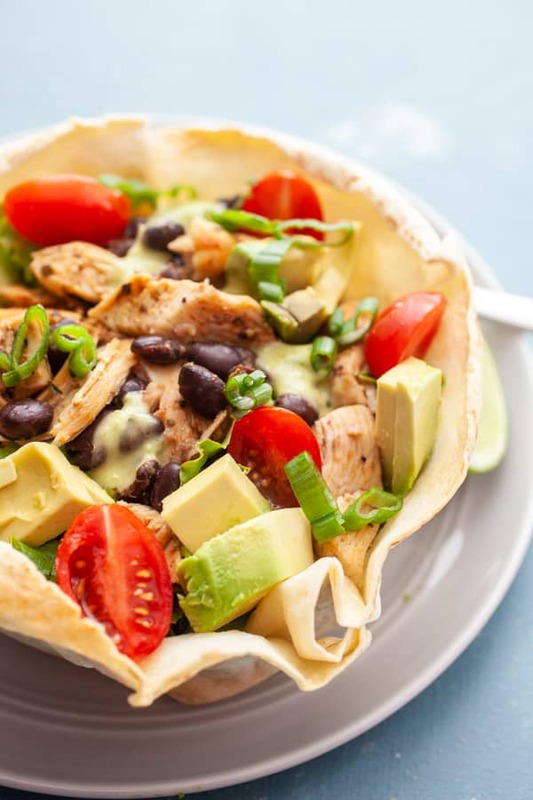 This Homemade Taco Bowl is just a start in possible tortilla-based serving vessels! Updated April 8, 2019 to include new images and spiffy up descriptions. 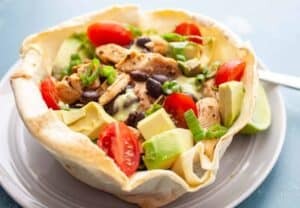 This easy recipe shows you how to make your own homemade taco bowl big enough to hold an entire taco salad! Simple and delicious! 1) For each tortilla, light spray or brush a tortilla on both sides with oil (I like avocado oil, but any neutral oil will work). Warm tortilla in a skillet over medium heat. Cook for about 30 seconds per side and make sure the tortilla is lightly coated with warm oil. 2) Drape tortilla over a medium sized (16 ounce is good) ramekin. 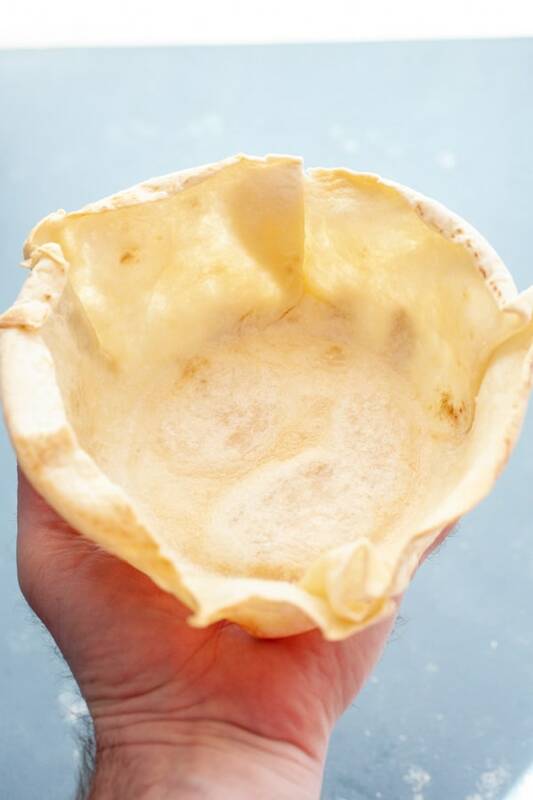 Crimp edges so the tortilla sits in a circle and no edges pop up. 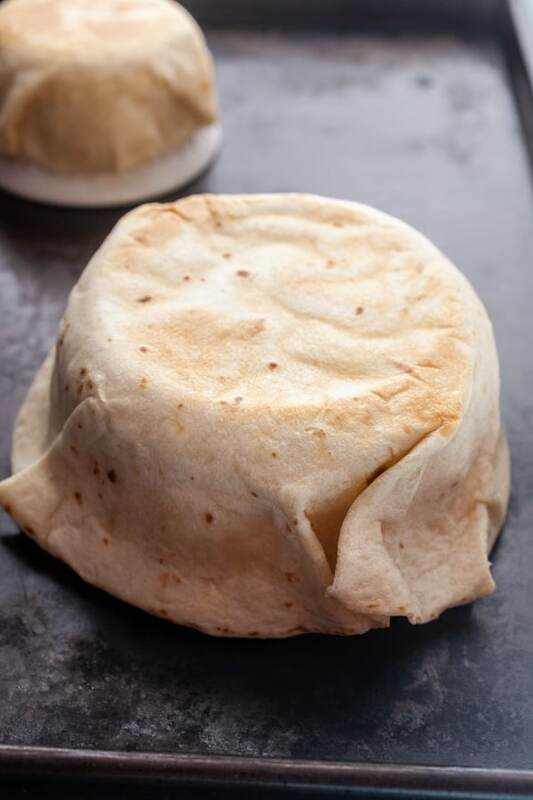 Cover the tortilla tightly with foil so it holds its shape. 3) Bake tortilla and ramekin for 15 minutes at 350 degrees. Remove foil. Bake for another 10 minutes. 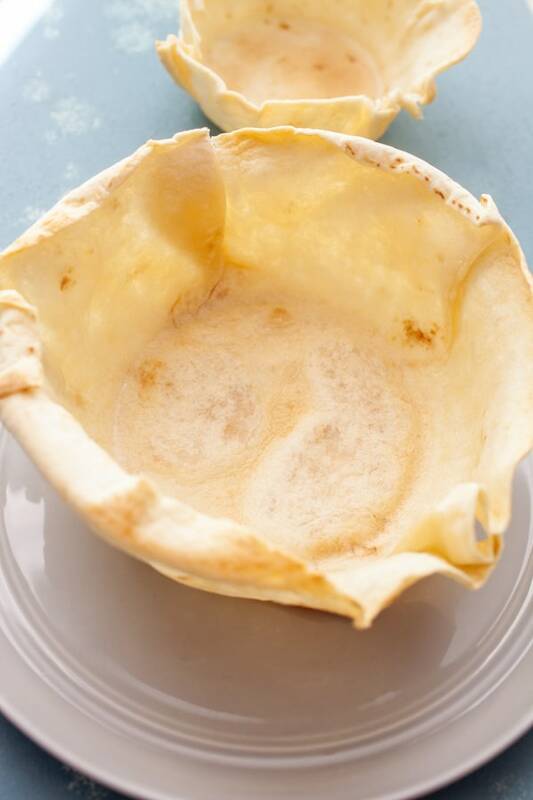 4) Use a fork to gently lift tortilla off of ramekin and let cool. Repeat with other tortillas. It’s easiest if you have more than one ramekin obviously. 1) Toast spices briefly in a dry pan. Add to ground beef and cook over medium heat until beef is cooked through. Season with salt and pepper and adjust spice levels to your liking. 2) Add in drained beans and cook for another minute or two. Remove from heat. 3) Wash, dry, and chop lettuce. Add a layer of lettuce to bottom of each taco shell. Be sure lettuce is dry. 4) Top lettuce with about a good amount of the beef mixture then top with any additional toppings you would like. I’ve seen some homemade taco bowl methods around the Internets over the years, but this is the only way I’ve found to make a really huge bowl – a bowl big enough to hold a full salad. If you’re interested, the way to make smaller bowls is just to use the underside of a muffin tin. Those are pretty tiny though. You can also use smaller ramekins for a mid-sized bowl. 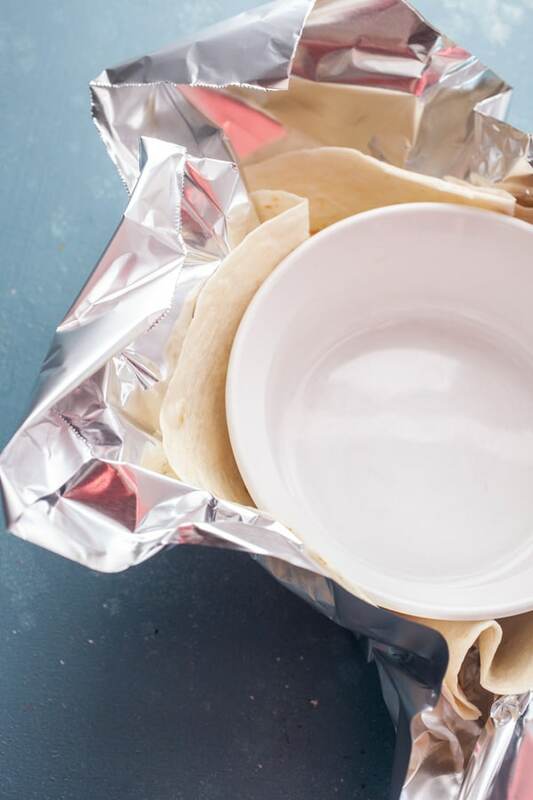 To start, it’s important that your tortilla is warm and flexible and also lightly coated with oil so it doesn’t stick to the ramekin later. I used a little spray oil on my tortilla and then warm the tortilla over medium heat for a few seconds per side. Then lay the tortilla over your ramekin. I recommend working on a baking sheet just so you can easily move the whole thing to the oven. I used 10 inch tortillas for this and a 16 ounce ramekin. If you had more than one of these ramekins you could really pop these out pretty quickly actually. Next I wrap the tortilla with foil so it holds the tortilla tightly around the ramekin. You will need to kind of crimp the tortilla so it folds nicely around the ramekin. Bake this tortilla bowl for about 15 minutes at 350 degrees. You can make other parts of the meal like the beef mixture or chop toppings while your bowls bake obviously. After fifteen minutes, take the foil off of the boil and the taco bowl shells should hold their shape! Then bake it for another 10 minutes so the shell gets really crispy and delicious. I was very worried that my tortilla shell was just going to stick to the dish, but it popped right off without a problem. Spraying both sides of the tortilla with oil is the key to getting them not to stick! I recommend using a fork to gently lift (and sort of pry) the shell off. They are actually really sturdy so you should be able to get them off without too much issue. Ok. The shells are the hard part. Everything else is easy. Add your protein (beef or chicken) to a pan and get it browning over medium-high heat. Add whatever spices you like to it. Ideally, you might have some homemade taco seasoning that you could add in, but at a minimum, add some cumin, paprika, chili powder, garlic salt, and salt and pepper. Cook this for about ten minutes until the beef is browned and all the spices are mixed in. Be sure to taste the seasoning and adjust it to your liking. Then stir in your black beans and your ground beef mixture is ready to go. There are at least a dozen fun toppings you could add to this salad, but some essentials are definitely avocado, tomato, and red onion. The only real trick about building the salad is to start with lettuce and make sure your lettuce is nice and dry. If it’s wet at all, it’ll make your Homemade Taco Bowl soggy. Then pile on your chicken/beef mixture and top it to your heart’s content! The salad is great on its own, but being able to break off pieces of the Homemade Taco Bowl and eat it with the salad is really the best part. In fact, I don’t think Betsy finished her actual salad, but she did finish the bowl! The homemade taco bowls are a bit of work, but they are really fun and totally delicious. Give them a shot if you are feeling ambitious! Yum! Gonna try that tomorrow night. Thanks! Oh Nick that is an excellent idea!!!! beautiful!!! 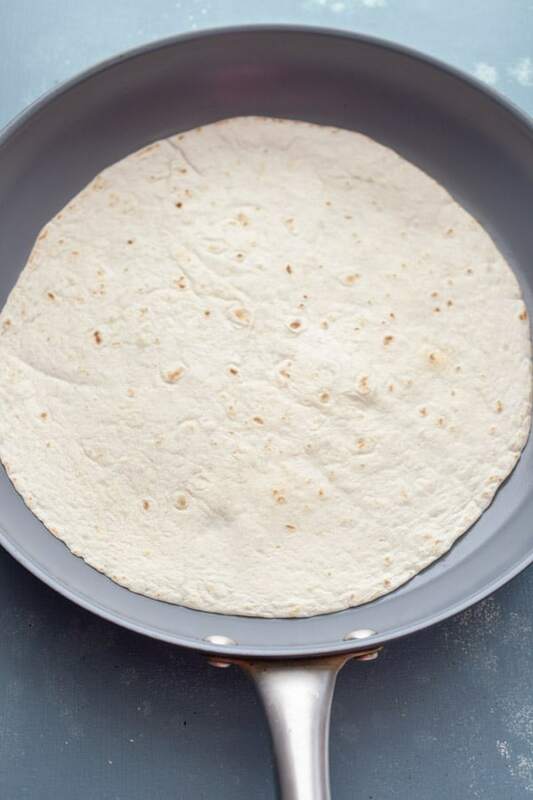 Have you tried using uncooked tortillas? Great looking dish. The “As Seen On TV” people beat you to the whole tortilla bowl thing though. Every time I’ve turned on the TV for more than 10 minutes this summer I see the Tortilla Bowl commercial. Like me, it seems your great ideas come about a year after someone else has patented the “great idea”. Thanks for posting this. I’ve tried making these before but they always came out too crunchy to actuall eat, but then I didn’t pre-soften or coat with oil. What a great tip. They look excellent and that photo of the finished salad is mouth watering!! Thanks for the tips and recipes! Yea. I did see that. I love the technique although their bowls look pretty small. I’m sure they work though and it’s definitely faster! Thank you for this Nick! I wanted to make Taco for long! And the pictures, they make me hungry! !